SE Healthcare Data Analytics and Solutions > DARCIE M. HAMMER, M.D. Dr. Darcie Hammer brings over 12 years of experience in Emergency Medicine to SE Healthcare. She provides clinical expertise in Emergency Medicine matters for clients, as well as provides medical reviews of clinical care and support for the Emergency Medicine risk management activities. As a member of the SE Healthcare team, she assists with the development of evidence based assessment tools and identification of key quality metrics to ultimately impact the quality and safety of care provided to patients by SE clients. 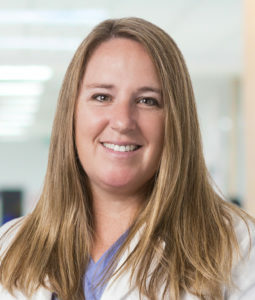 Darcie is a board-certified attending physician for Emergency Medicine Associates, the largest provider of Emergency Medicine services in the Washington, DC metropolitan region. Darcie currently serves as the Assistant Director of the Department of Emergency Medicine at Medstar Montgomery Medical Center where she oversees the data analysis reporting for patient throughput and concurrently leads the department in utilization review. Prior to earning her medical degree, Darcie worked as an engineer for the National Aeronautics and Space Administration (NASA). She was later promoted to Deputy Branch Chief in the Office of Military Technologies at NASA’s Ames Research Center. In this role, she supervised a group of 15 scientists and engineers conducting computational and experimental research on military aircraft technology and conducted and managed multi-center and multi-agency experimental research programs. Darcie received a B.S. in Aerospace Engineering from Rensselaer Polytechnic Institute in Troy, NY. She later went on to receive her M.D. from Georgetown University. She completed her residency in Emergency Medicine at Johns Hopkins University.